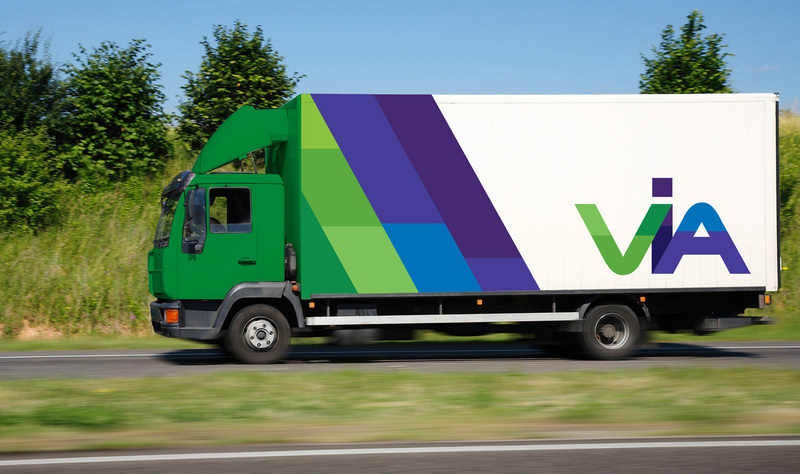 The new Via logo and brand identity was commissioned by Flancare Logistics. The new identity evokes visual metaphors of the road and the journey as well as the colour and variety of their services, it presents the company as modern and accessible. Roomthree were deeply involved in the entire process facilitating staff contributions to an full brand audit, creating the new name and designing the new brand identity.